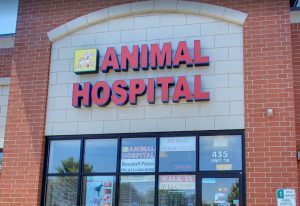 Animal Hospital of Randall Plaza is proud to serve Crystal Lake, IL and surrounding areas. We are dedicated to providing the highest level of veterinary medicine along with friendly, compassionate service. If you have any questions about how we can care for your pet, please don’t hesitate to call us at (815) 444-8560. Thank you! Dr. Hamid is the best! I have been taking both of my dogs here for a few years now. Even after I moved away, I still drive almost an hour to have my dogs taken care of here! Dr. Hamid is very knowledgeable and compassionate! He does amazing work. Such a nice hospital! I bring my 2 dogs there and they both absolutely love the doctor and the staff! Excellent facility that is always clean and care that is both reasonably priced and top notch. I have been going to Dr Hamid since he opened his doors. We would never go anywhere else. He is compassionate and kind and that makes all the difference to us. His Vet Techs are also top notch. Give them a try. You will not be sorry!